When a common person hears the word “finance,” they may picture large corporations working to obtain money, making budgets and allocating them to different departments. At a higher level, this picture is absolutely correct. But, finance is applicable everywhere, even in our personal lives. Personal finance, as the name suggests, is the management of an individual’s or a family’s money. It encompasses all the financial decisions of an individual, from mortgages to retirement savings. “The Millionaire Next Door” is basically Personal Finance for Dummies (do not confuse it with Personal Finance for Dummies by Eric Tyson, which is a completely different book!) It is the perfect read for those who want to dip their toes in the world of personal finance, as it talks about all the fundamental principles of the discipline, in such a simple way that even a person with no background in finance will understand. Investment tips are an integral part of personal finance. “The Investment Answer” is a helpful guide which discusses the five decisions every investor has to make, which include when to buy or sell assets, how to allocate among bonds, stocks, and cash, and whether to invest with a professional or do it solo. All these basic and fundamental decisions are discussed thoroughly yet simply in this amazing book, which makes it a must read. In this interesting book, Torabi discusses how our emotions could cloud our judgment while managing money. “Psych Yourself” discusses behavioral finance, which focuses on how people make financial decisions and what behavioral factors might influence them. The book is a remarkable guide to help you identify your weaknesses when it comes to managing budget and spending, and guides you towards the path of disciplined and structured financial management. In his book, David Bach discusses the famous “Latte Factor,” which is a very simple money saving strategy that focuses on avoiding spending money on small things that you don’t really need, like lattes, on a daily basis and instead of saving it. “The Automatic Millionaire” makes the reader realize how much money they waste on a daily basis, how they can save it and how they can manage it by making the right decisions. The book is somewhat related to behavioral finance. In his outstanding book, Ramit Sethi has laid down a strict six-week long personal finance program, which focuses on young adults, aging from 20-35. “I Will Teach You To Be Rich” is an amazing guide for both young and near-mid aged adults, that helps them save their money and make budgets while making minimum efforts to do so. Ramit Sethi is a well-renowned personal finance guru and has excellently discussed the art of personal finance for young adults in this guide. 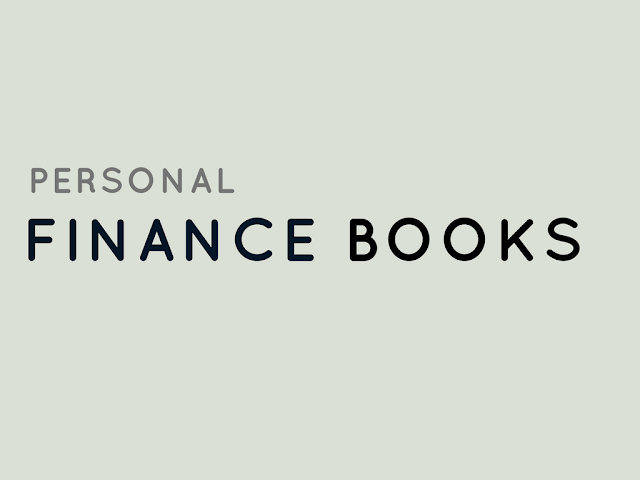 While the name seems like a mouthful, the book itself is perhaps the best personal finance guide for high school and young college students. Cary Siegal wrote this book for his five children, in which he discusses all the fundamental and basic principles of financial management which are not taught in any school. The tips and tricks discussed in this book are usually learned later in life, and unfortunately the hard way, which makes it a must read for all the young people. Nobel-Winning behavioral economist discusses the two systems that drive the way we think – The first one being slow and logical, and the second one being the fast and emotional. Kahneman gives outstanding practical insight on how to control these two systems and make better decisions, at both personal and professional platforms. Learning to control these two systems is highly essential for successful personal finance. In another book, whose name sounds like a mouthful, the authors Jason Anthony and Karl Cluck discuss how they found themselves in debt. “Debt-Free” by 30 gives insight to young people on how to save themselves from the ocean of debt, by giving practical advice on things which the authors faced themselves in their twenties, and how they dug their way out of debt. It is a remarkable personal finance guide, especially for those who don’t know how to pay off their debts. As discussed before, having a stable financial condition is necessary in today’s world. However, the financial ambiguity of this era makes managing money a huge challenge. “Your Money Or Your Life” is a helpful book that helps the reader to deal with this ambiguity. It discusses a range of personal finance issues, from paying off debts to the inner clash between choosing to spend on your lifestyle or saving that money. Read by millions and considered the best personal finance book by many, “The Richest Man in Babylon” takes you back in time and discusses the secrets of success of the ancient civilization. The author beautifully discusses the Babylonian Principles, and offers practical insight and solutions to a number of personal finance issues, unlocking the mysteries to saving, protecting and earning money. These resources are so good! thank you! I have read Richest Man In Babylon! I find out about this book here: https://qanda.typicalstudent.org/. It really helpful even now! but the book is about people that leave in Babylon! An even better scenario is when a value-add is involved. Example: Somebody is buying green, red and yellow bell peppers from a variety of growers.https://mailchi.mp/cc08635ff53e/solopreneursguide They're packaging these items up and then selling them as packaged items.